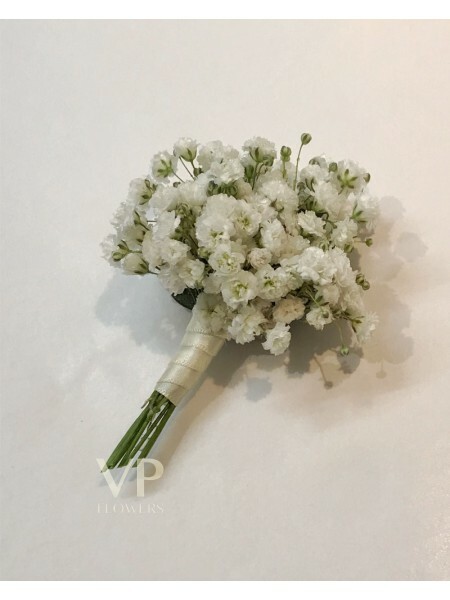 White Baby's-breath decorated with jute twine and a small satin ribbon bow. Also available in burlap finish. Perfect for rustic, shabby chic wedding. Please note: with all natural products there may be slight variances in colour. If you have specific requirements for your bouquet, please call us to let us know.